WTF Are You Reading? : Sometimes Love Is An Uphill Climb...Enjoy The Journey With "Priya In Heels"
Sometimes Love Is An Uphill Climb...Enjoy The Journey With "Priya In Heels"
Good girl, Priya Patel, knew from the moment that Tyler O'Connor, of the twinkling green eyes and easy smile, ambled into her ER complaining of a possibly broken ankle; he was trouble for someone. She just had no idea that someone would be her. 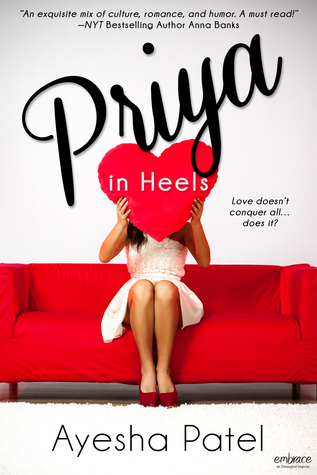 Priya In Heels is a beautifully written story which manages to bring the trials and tribulations of love and marriage for Indian-American traditionalists. Though the beautiful Priya should have the world by the tail, blessed as she is with beauty, friends, and a residency at a top Houston hospital. Her parents long to see her married off to a "nice Indian boy", and tucked away with two kids in a suburb not too far away. Since meeting and getting to know Tyler however, it seems that both Priya's mind and treacherous heart have their own versions of "happily ever after"
This is a book that fills the reader's heart and mind through honest and highly relatable characters, and true-to-life scenarios. Priya and Ty are a couple that readers want to fight for, as they fight the cultural and societal barriers to their love. 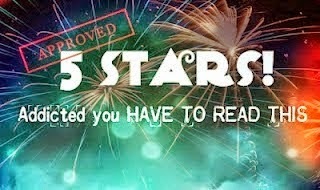 The 400+ pages comprising this novel fly by, and can easily be breezed through in one sitting. Ty is the perfect blend of nerdy heat, compassion, and knightlyness. Priya is beauty, brains, loyalty, and honesty. Seeing them struggle against old conventions and mores, in a quest for the new and now, will warm the heart and feed the soul.